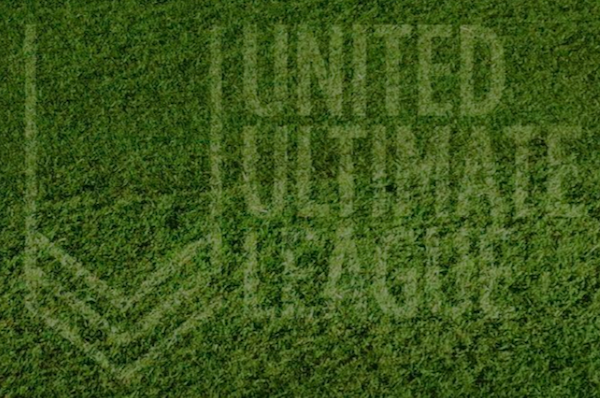 United Ultimate League (UUL) was announced today by ultimate apparel company SAVAGE. The UUL strives to provide a USA Ultimate-sanctioned league with complete gender equity, showcasing both men and women on the playing field. 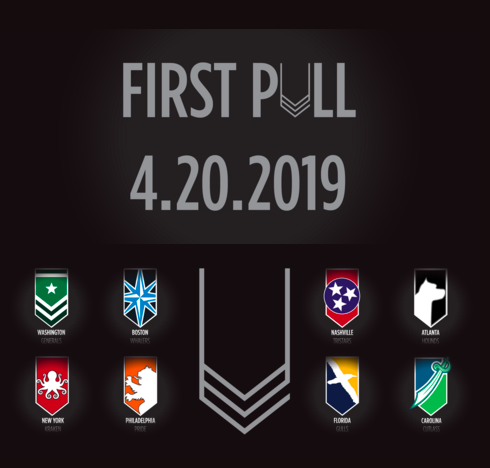 UUL is being touted as "Ultimate Frisbee’s First Professional Mixed League" will be played as 3:3 gender ratio, making this the first 6v6 semi-pro ultimate league and the first to be completely gender equal. UUL's inaugural season will be from April - June 2019 with eight (8) teams with two (2) divisions - the Northern division will include Boston Whalers, New York Kraken, Philadelphia Pride, and Washington Generals; the Southern Division will include Carolina Cutlass, Atlanta Hounds, Nashville Tristars, and Florida Gulls. Teams are owned by the league and not independently - a similar setup as Major League Ultimate. "Having the support of the national governing body was a primary goal of mine when starting the league" Todd Curran founder of UUL stated. 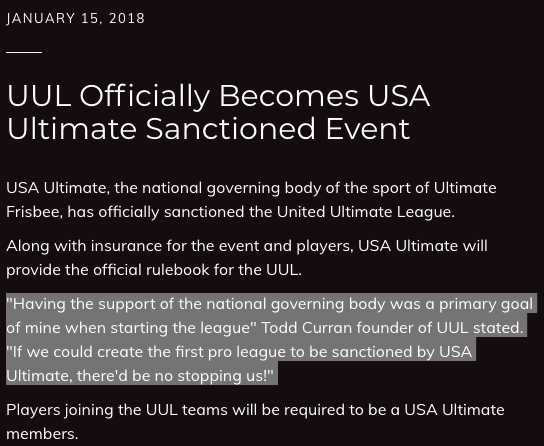 "If we could create the first pro league to be sanctioned by USA Ultimate, there'd be no stopping us!" The UUL expects to launch a Kickstarter on February 1, 2018, with a $50,000 goal to gain community support. SAVAGE also created the College Mixed Championships (as USA Flatball) in 2015.